3/21 - Port Colborne, Ont. – Not only is the Welland Canal at the forefront of Niagara’s transportation infrastructure, it’s an economic driver for the region and great for tourism as well, speakers at the Top Hat Ceremony in Port Colborne said Monday morning. 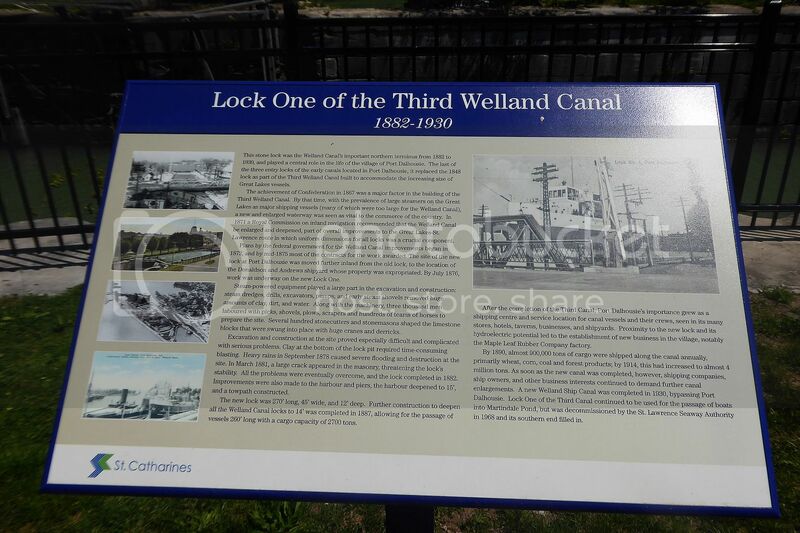 The ceremony, held at Lock 8 Park, celebrates the first downbound vessel to pass through the lakeside city toward Lake Ontario, and the opening of the canal. Capt. Gary Kafcsak of the tug-barge combination Calusa Coast and Delaware received the ceremonial head-topper. When speeches were over, Port Colborne Historical and Marine Museum director/curator Stephanie Powell Baswick presented a more than 100-year-old beaver felt fur top hat to Kafcsak. The Calusa Coast and Delaware are part of Dann Marine Towing, a fifth generation family-owned and operated tugboat company, which manages a fleet of 22 ocean and coastal tugboats as well as inland push boats. 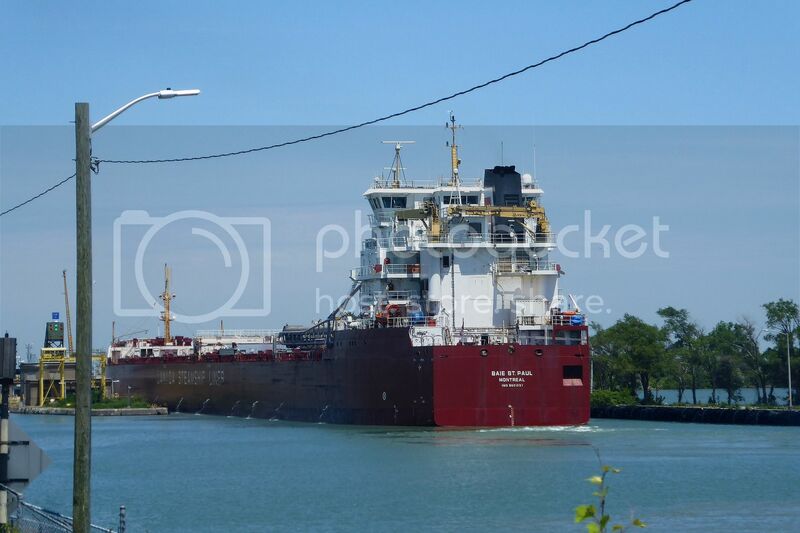 The captain and his crew were bound for Hamilton with a load of liquid asphalt from Detroit. 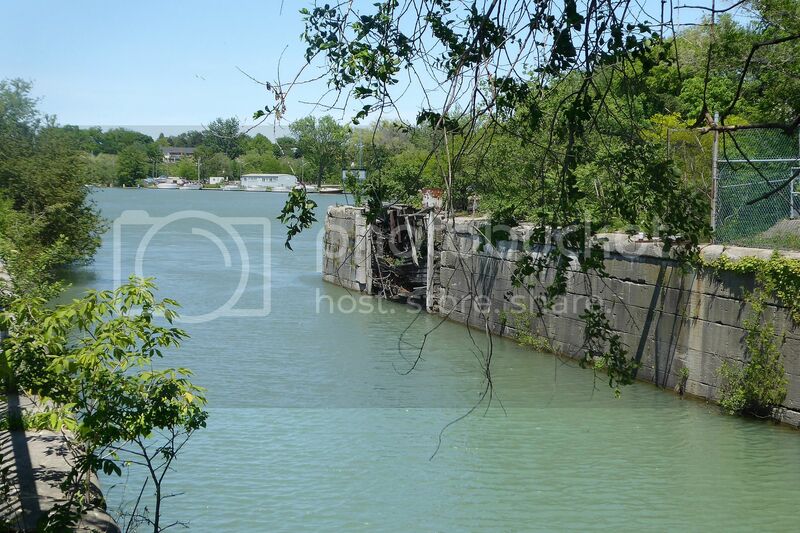 Meanwhile, a ceremony at Lock 3 in St. Catharines marked the first upbound ship through the canal. Capt. Ted Brown of the motor vessel Robert S. Pierson was awarded the top hat there. 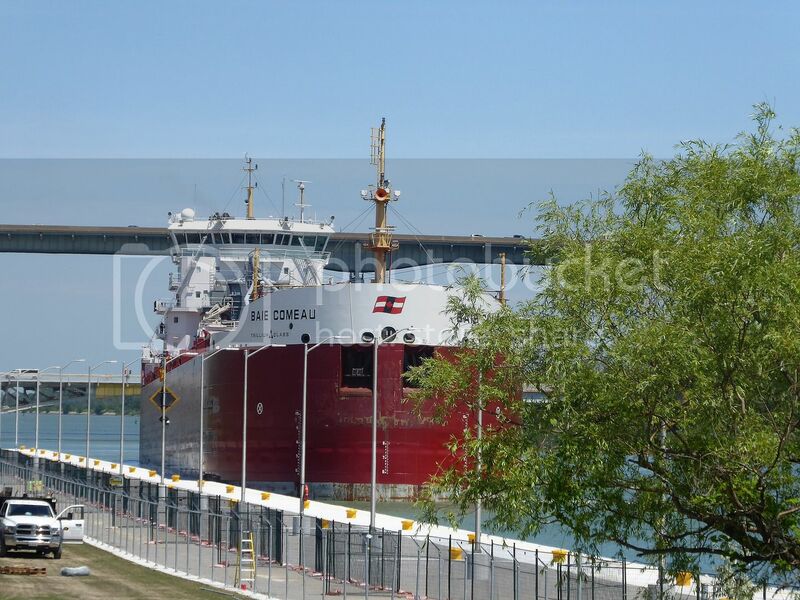 The ship, owned by Rand Logistics, is a 189-metre-long Canadian flag self-unloader that would make its way to Cleveland and then be back in the lock system by tonight, according to Brown. Ed Levy, president and CEO of Rand Logistics, said the vessel will move 18,000 tonnes of salt to Toronto, and during the 2017 season will load and unload about 120 times. Levy said the company was honored to be part of Monday’s Top Hat Ceremony, and was pleased that not only was it the first day of spring but also one of the earliest days of the opening of the canal. He lauded St. Lawrence Seaway Management Corp. for its $100 million in improvements and maintenance made to the seaway and Welland Canal during the off-season. “These improvements are critical to meet the needs of our industry,” he said. Seaway corporation vice-president of operations Stephen Kwok said there is optimism that cargo volumes will be up this year from the 35 million tonnes that went through the seaway in 2016. He estimated that cargo moved over the combined Great Lakes seaway system supports more than 227,000 jobs and $35 billion of economic activity in Canada and the U.S.
“With the advances we are making with our modernization program, I am confident that the seaway is ready for the future and is a crucial lynchpin connecting the heartland of North America to the world,” said Kwok. 3/21 - Montreal, Que. 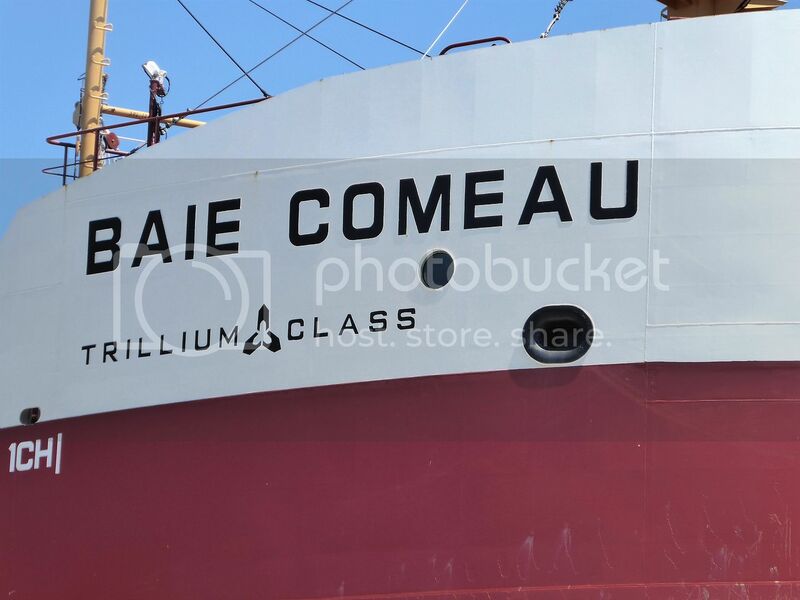 – The St. Lawrence Seaway Management Corporation marked the opening of its 59th navigation season Monday with a special tribute to marine shipping’s substantial contribution to Canada’s economic development and quality of life. The CSL St-Laurent, the first ship to transit the St. Lambert lock in 2017, featured a monumental work of art commissioned by CSL as a tribute to Canada’s 150th anniversary and the 375th of the City of Montreal. The mural, titled The Sea Keeper, is an original work conceived by Montreal urban artist Bryan Beyung and created by Beyung with artists FONKi, Ankh One and Benny Wilding of the Ashop art collective. The mural depicts a Canada goose in flight, a common sight along the St. Lawrence River, and represents the vessel sailing in harmony with the environment. 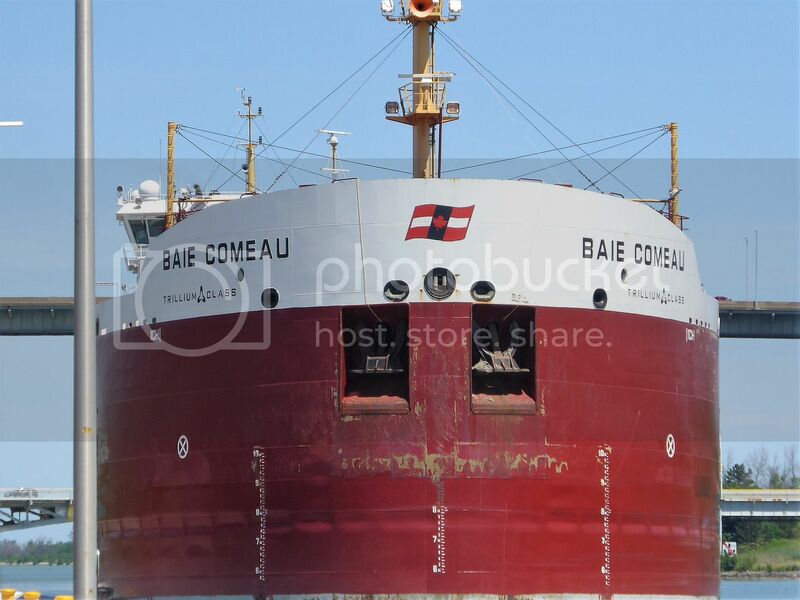 Painting an original work of art of this magnitude on a cargo vessel is a first for these artists, and is the first of its kind to be displayed on a Canadian commercial bulker. The Honorable Marc Garneau, Minister of Transport, and the Honorable Jean D’Amour, Minister for Maritime Affairs for the Province of Québec, were among a number of dignitaries that shared their convictions as to the important role played by marine transportation in supporting Canada’s ascendance as a trading nation, and the City of Montreal’s rich history as a key trading hub. The CSL St-Laurent is sailing to Thunder Bay to pick up grain. Terence Bowles, president and CEO of The St. Lawrence Seaway Management Corporation, noted that a strong carry over of grain from the 2016 harvest should help the waterway record an increase in cargo levels this season. 3/30 - Kingston, Ont. 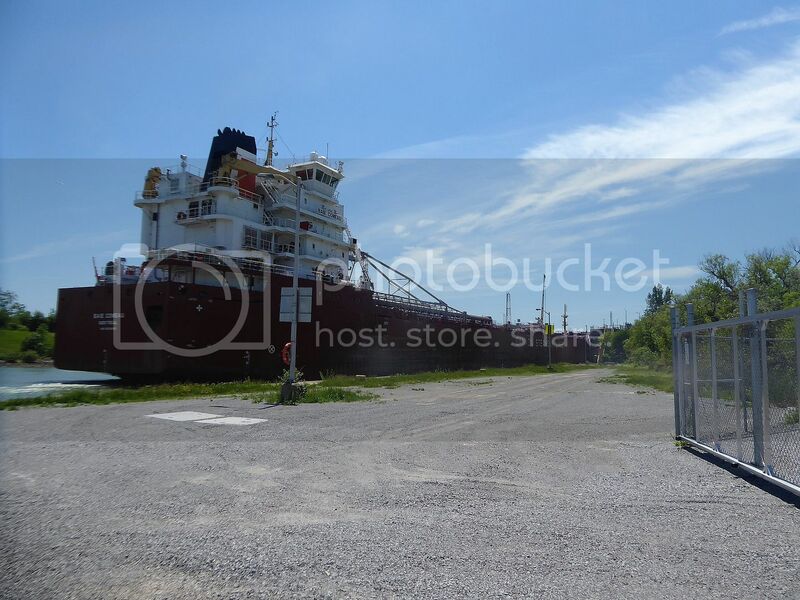 – Officials in Prince Edward County are reassuring residents that a partially submerged barge in Picton Bay, about 60 kilometres southwest of Kingston, poses little risk to the environment. The bow of the Pitts Carillon, a 27-metre barge owned by Galcon Marine, is resting in shallow waters after it began taking on water late Thursday, according to McKeil Marine, the company that was chartering the vessel and is now taking responsibility for the salvage operation. The barge's stern remains afloat, the company said. 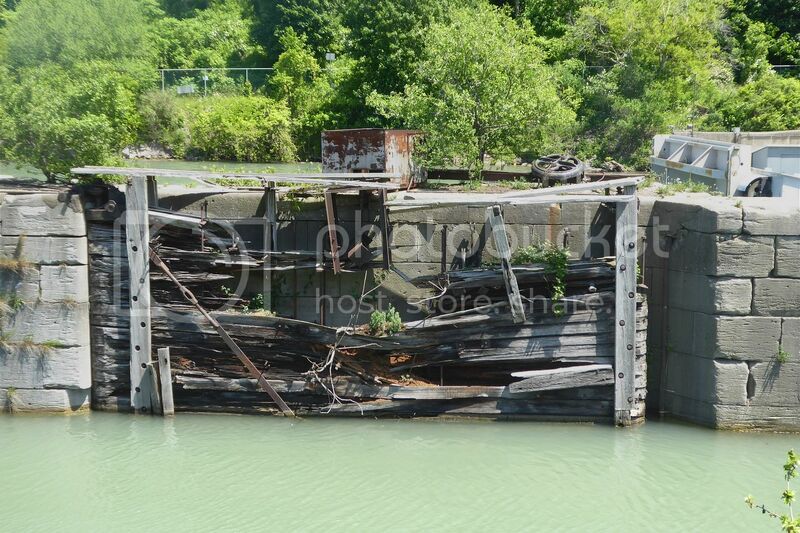 In a statement Monday, McKeil Marine said the barge poses "little risk to the environment." "The barge is stable," according to the company's director of project management Chris Kirby, who's overseeing the salvage operation. "We have developed a recovery plan which was reviewed by the Coast Guard and Transport Canada. We have assembled a team of experts and taken all necessary precautions to ensure utmost safety throughout the operation." It's believed the partially submerged barge contains about 1,200 litres of diesel fuel and 100 litres of hydraulic fluid. The fuel tanks remain intact, but the company deployed a pollution boom around the barge as a precaution. Divers hired to inspect the barge have confirmed no pollutants have contaminated the bay, according to Prince Edward County. "I am assured there is no immediate danger and no spill occurred," said Coun. Lenny Epstein on Facebook. "I don't say that to minimize it nor to diminish but to reassure." The county said it has taken all necessary precautions to protect the local drinking water system, and said a sufficient supply of drinking water exists in municipal reservoirs in the event that pollution is detected. 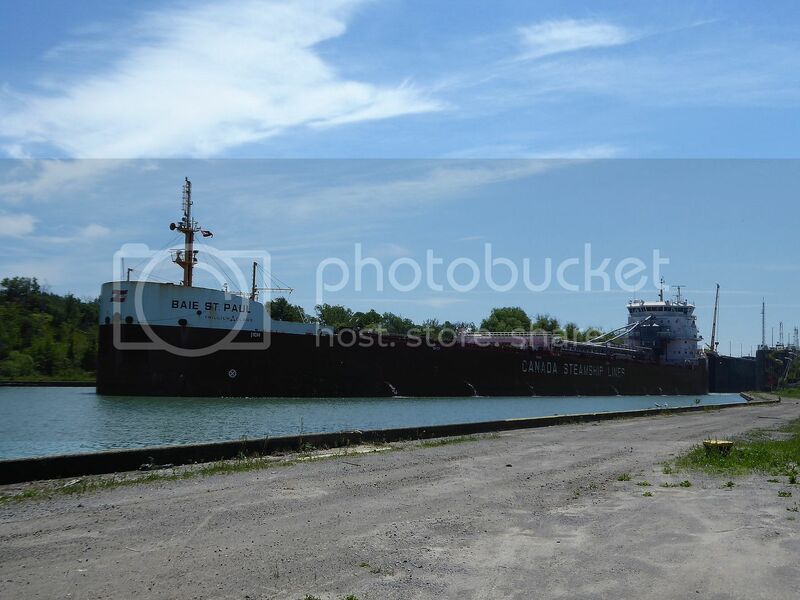 McKeil Marine said the barge was towed from the Port of Toronto on Wednesday and arrived at Picton Terminal Thursday evening. Early Friday morning the crew of the tug noticed the barge listing to one side and set up a pump in an attempt to right it. There were no injuries. 5/30 - Brockville, Ont. – Heavy rainfall has kept the St. Lawrence River at record highs, leading to the possibility that water-level authorities might shut down shipping on the Seaway to allow the dam at Cornwall to release more water. Rob Caldwell, Canadian regulation representative of the International Lake Ontario-St. Lawrence River Board, said the board has opened the taps at the Moses-Saunders power dam at Cornwall to record levels. The outflow volume at Cornwall is 10,200 cubic metres per second, equaling the highest outflow since recording began there 117 years ago. The flow is at the maximum volume that the system can take before the Seaway is closed to ships, he said. With rain forecasted to contribute another centimeter to the Lake Ontario levels over the next three days, the board will have to decide whether to open the taps further and shut down the Seaway at least temporarily, he said. Caldwell said that closing the Seaway has a precedent. In 1993, the board shut the Seaway for a couple of days a week for a seven-week period. He said improvements in ship technology in the last 25 years means the freighters can withstand higher water volumes before shipping has to be suspended. The board’s water experts also will have to determine how much more water that a downstream Hydro Quebec dam can handle before deciding whether to increase the flows at Cornwall. But Caldwell adds that the water flows in the Brockville area should be relatively stable despite the rain. The system reached a high point last week but since then levels have slowly declined. Although the rain will push the levels back up. they are not expected to surpass the high of last week. Caldwell said the big danger is wind, particularly from the east, which raises the chop in the river and could lead to flooding. The Cataraqui Region Conservation Authority, which includes Brockville in its jurisdiction, has added its voice to warn residents in flood-prone and low-lying areas who might see water-level increases into June if wet weather continues. But the authority feels that the flood danger for properties along inland lakes and rivers has largely passed. While things along the St Lawrence River are gradually stabilizing, it is far from business as usual. Most docks are still under water, and many gas docks remain closed - as are most municipal docks in the area. The bulk of the summer island residents have yet to arrive, so the extent of damage on the Thousand Islands is unknown. Mayor Joe Baptista of the Township of Leeds and the Thousand Islands warns that the wake from passing boats poses a real hazard to infrastructure on the shore. He urges boaters to slow down and respect wake control measures to minimize the impact. The CRCA reminds residents to cut off electricity to buildings or structures in flood-prone areas. Gasoline and other chemicals should be moved to higher ground. South of the border, the U.S. Coast Guard warns boaters to drive carefully. The high water has changed landmarks and submerged rocks. And there are lots of hazards floating in the river: docks, oil cans and junk washed out from people’s boathouses, for example. In Lake Ontario, the levels are the highest since 1918 when records started to be kept. Last week the lake levels were at 75.86 meters, which is eight cm above the previous high for this time of the year set in 1952, according to the CRCA. wel achter het hek blijven. en kalmpjes sluis no.6 in.